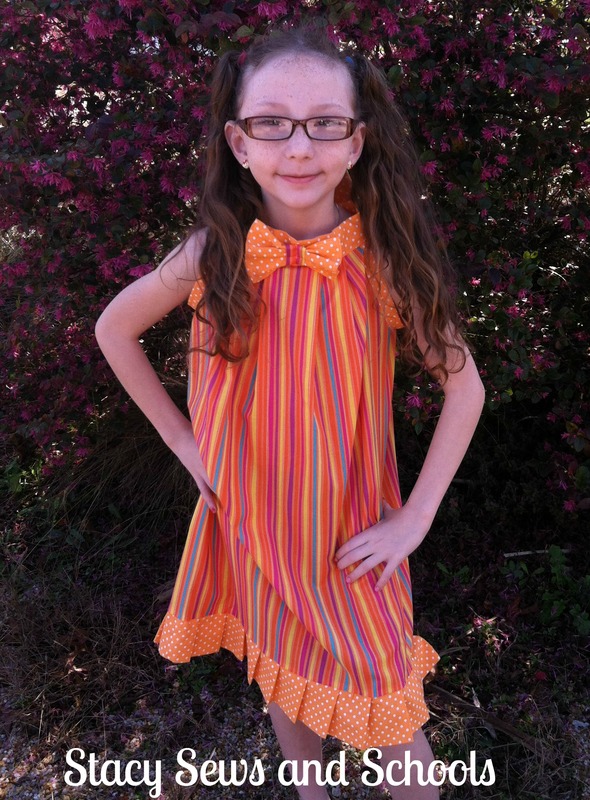 I took a tank that fits Cailey well and used it as my cutting guide. 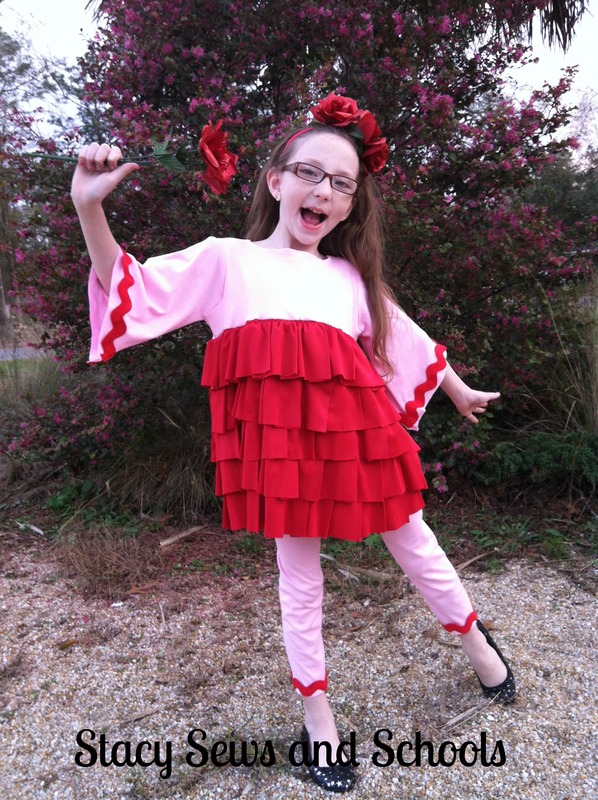 I wanted the top to have a very high waist so I let the top hang WAY off of the folded fabric. Be sure to cut all the pieces on the fold! 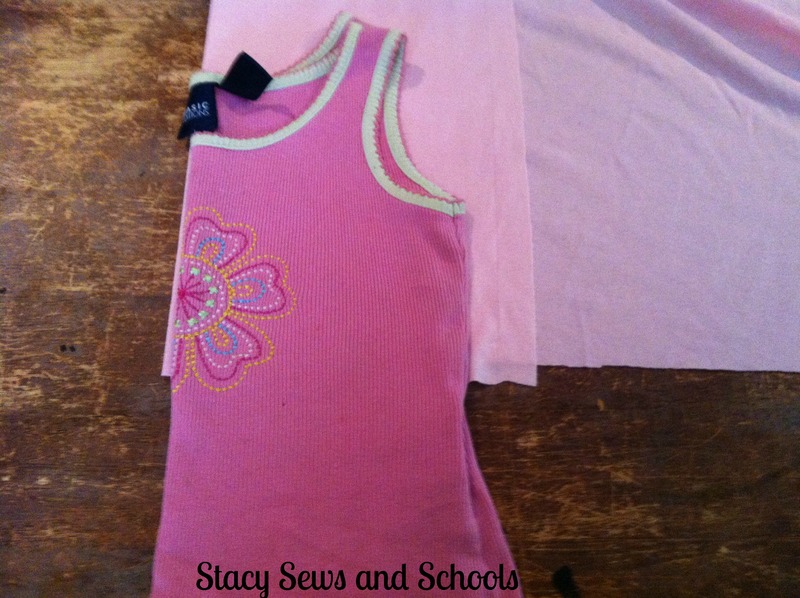 To cut the sleeves, place one of your bodice pieces on the folded fabric with the shoulder lined up with the fold. Then cut at a widening angle. 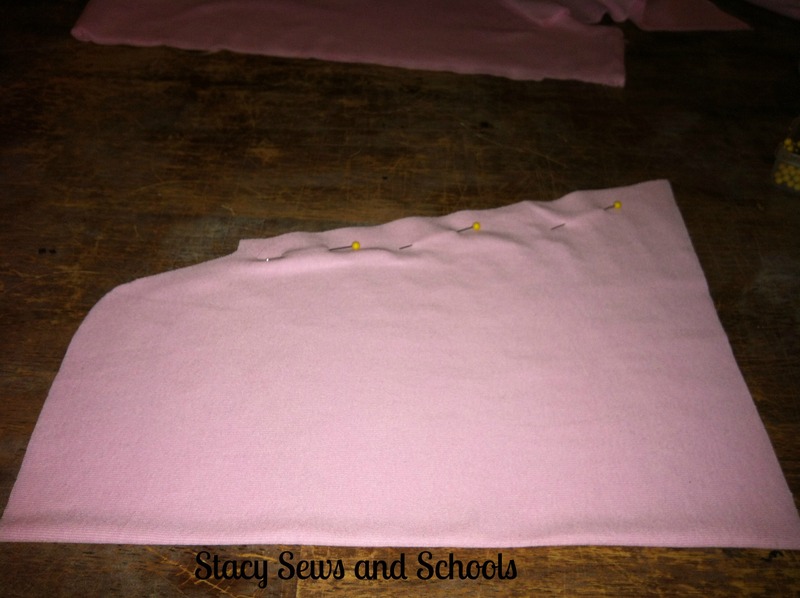 This will create sleeves that get wider as it goes down the arm. I cut them to hit just below the elbow, not quite 3/4 length. The next part to cut is the part from the bodice down. I apparently forgot to take a picture of this part, but it’s very easy. You want it to be 2 times the total width of the waist and the length can be as long or as short as you like. You just cut a large rectangle at those measurements. 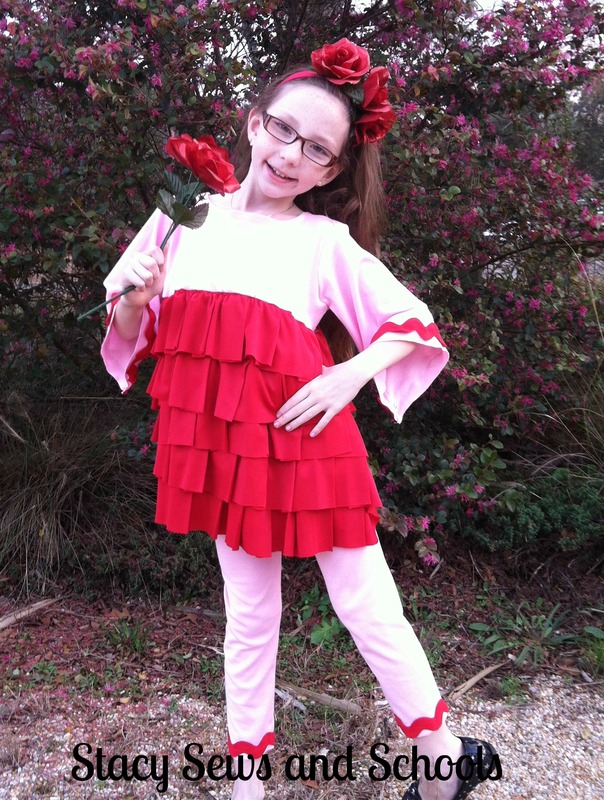 To cut the leggings I used a pair of pants that fit Cailey well. I wanted them cut straight instead of flared, so I let the side of the pants hang off the fabric at the fold. I cut them the same length as the pants, no seam allowance. Also, instead of cutting around and leaving a seam allowance, I cut right at the guide. This gives them a leggings fit instead of like a yoga pant. Now, on to the sewing! Pin and sew the 2 front bodice pieces together at the areas outlined, making sure to leave the bottom open. Turn right side out and press. 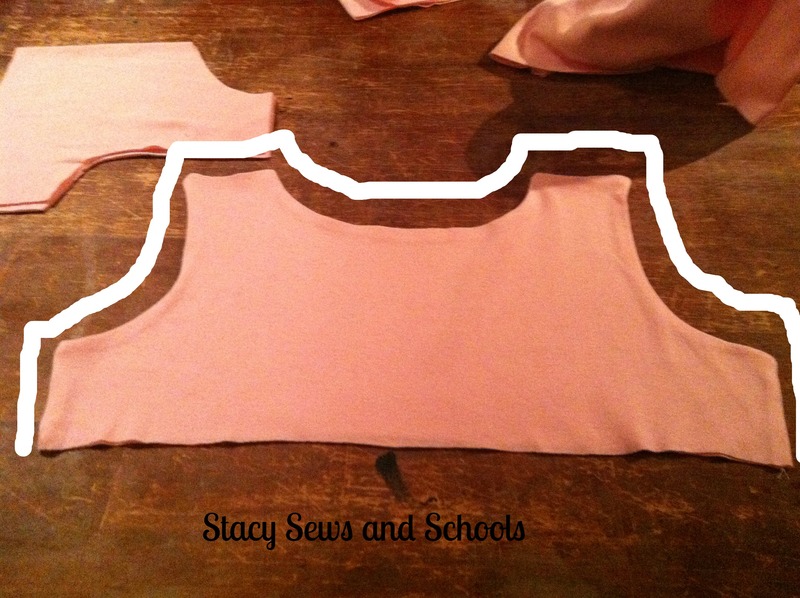 Do the same to the back bodice pieces (shown). 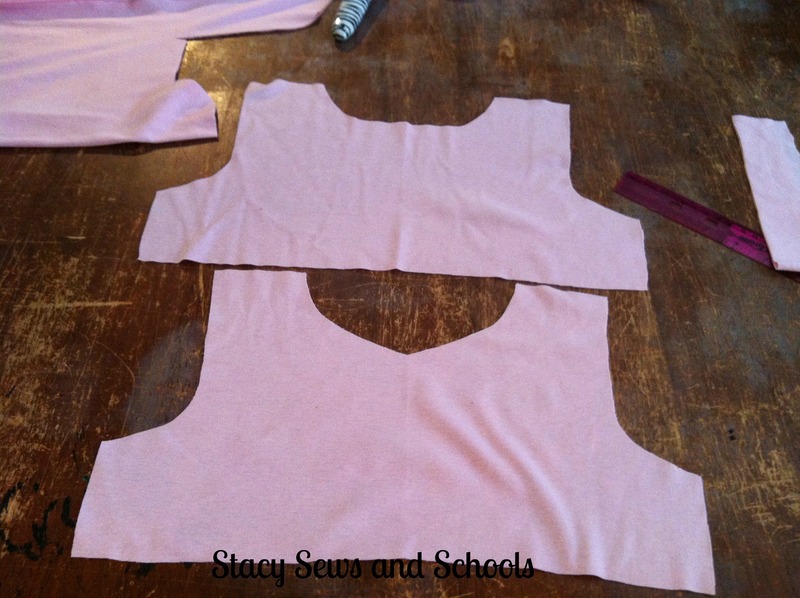 Sew the front bodice piece to the back bodice piece at the areas that are outlined. 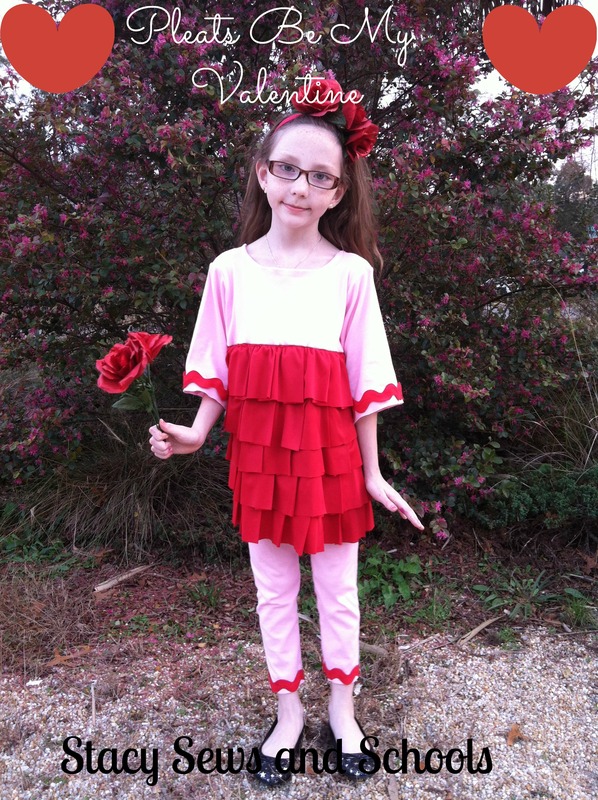 I didn’t decide to add the rickrack until the sleeves were already done…. 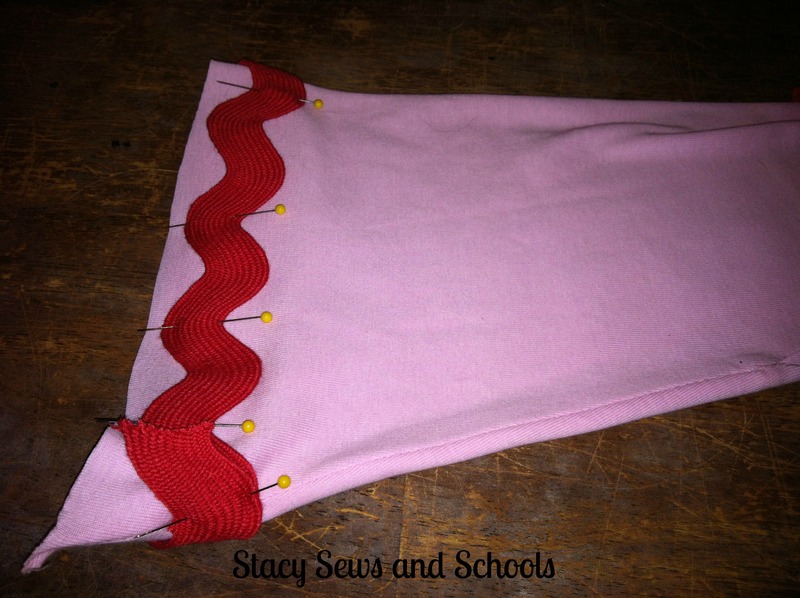 Anyway, pin the rickrack to the bottom of the sleeve and sew on with a straight stitch. Open up the seam and press. 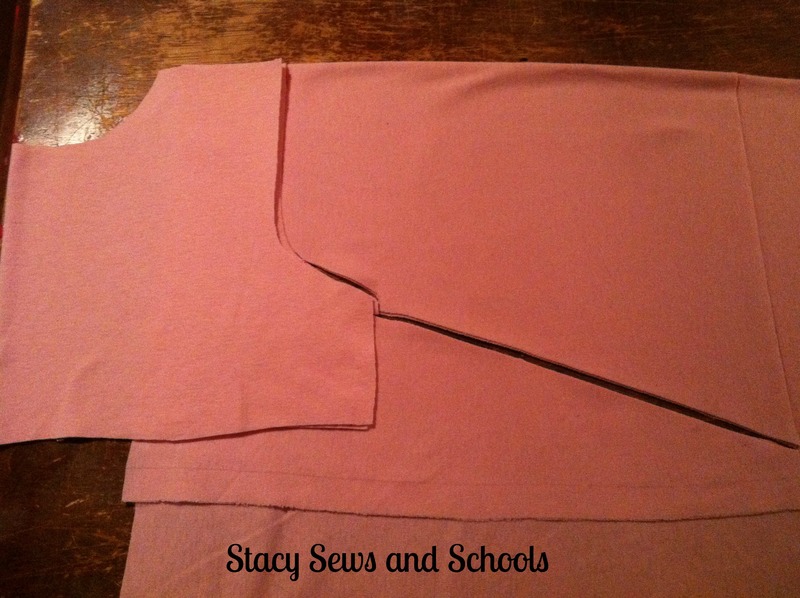 Turn the bodice inside out and then leaving the sleeve right side out, slide it into the arm hole. 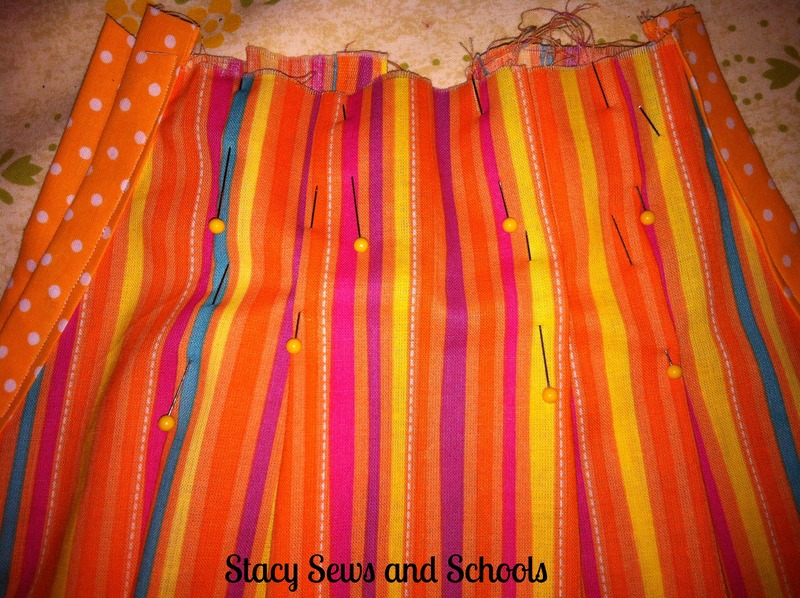 Pin and sew the seam. 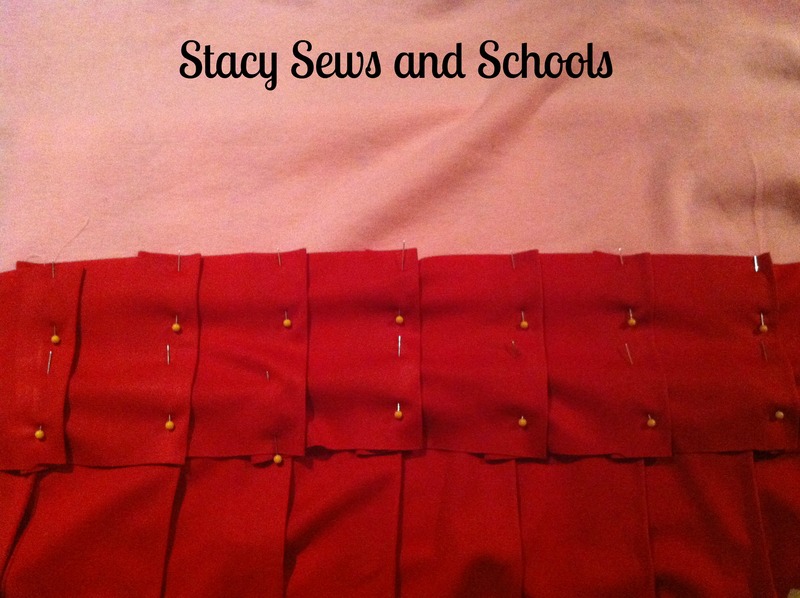 To add the pleated strips to the bottom of the bodice you will pin the first set of pleats to the bottom of the fabric. Not the VERY bottom, though. Leave the the pleated strip hanging over the edge by 2 inches. Then sew across the top. 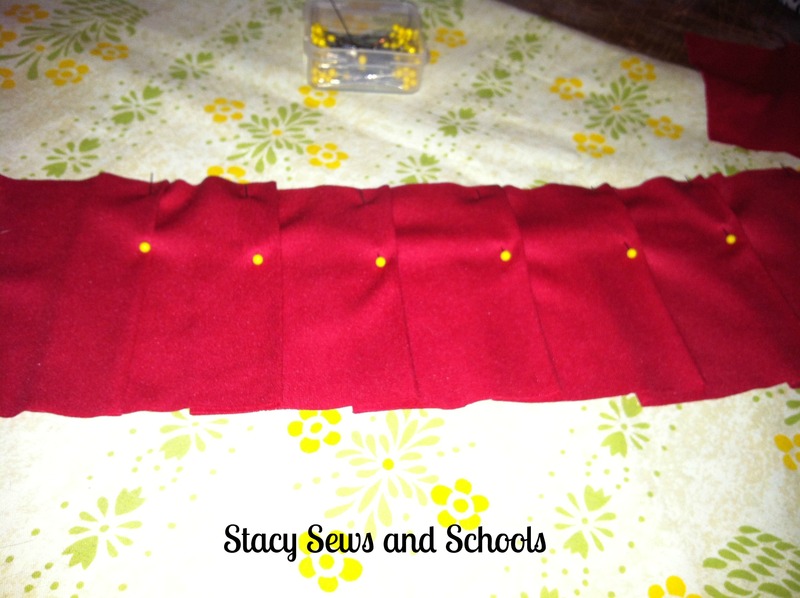 Keep adding the pleated strips until you reach the top, leaving each section hanging over the next by about 2 inches. Depending on how long or short you want this part to be, you made need more or less of the pleated strips. To add this part to the top of the bodice you will run a gathering stitch across the top (just under where you attached the last row of pleats). 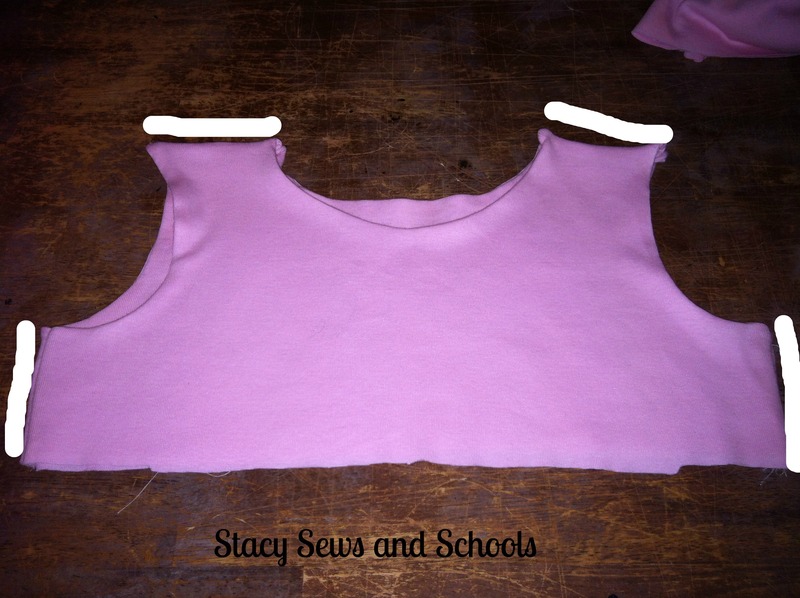 Then adjust the gathers to fit the bottom of the top bodice section. 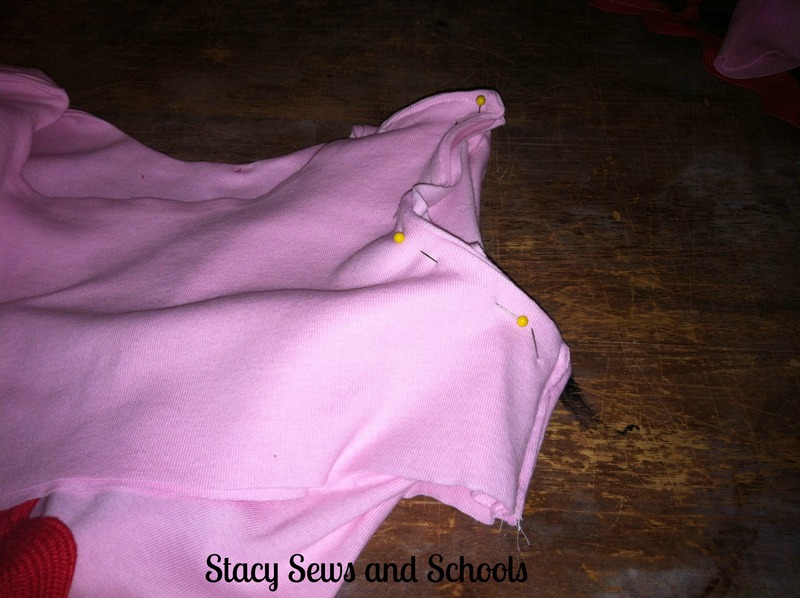 Turn the top bodice inside out and slide it over the top of the pleated section. Pin in place where the bottom of the top of the bodice meets the top of the pleated section. Sew in place just below the line of gathers. Now, turn the whole thing inside out and sew the side seam. 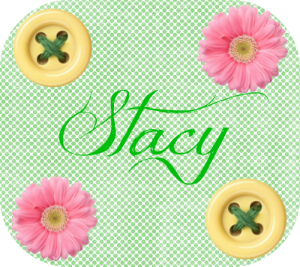 Before adding the rickrack to the bottom, turn under by 1 1/2″ and press. 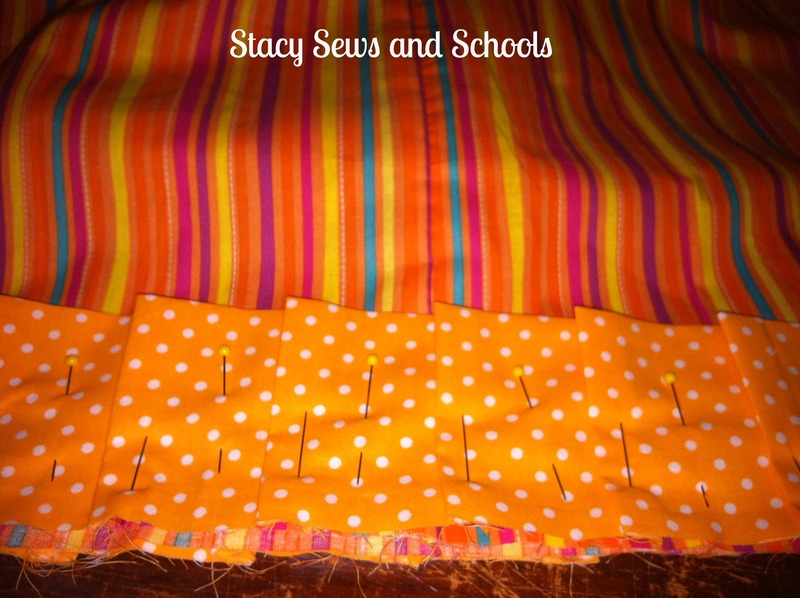 Then pin the rickrack to the front and sew on with a straight stitch. 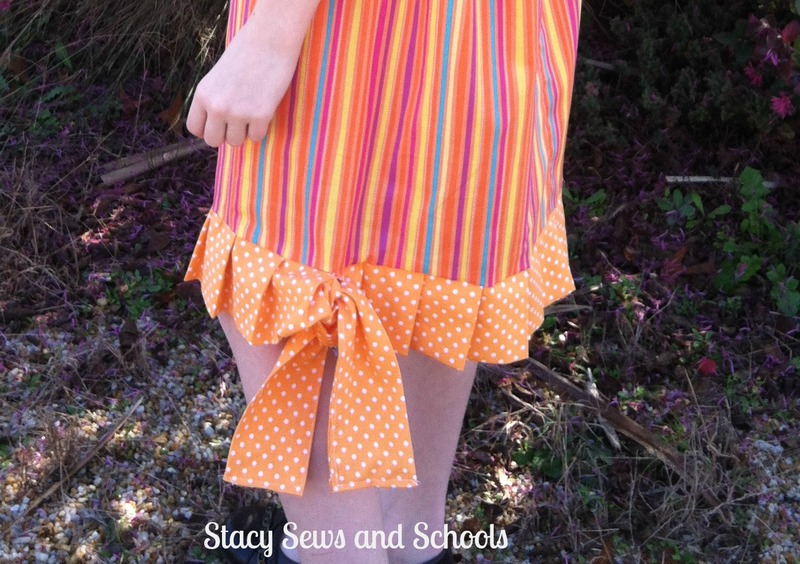 This hems and adds the rickrack at the same time. Let me know what you think, please!! SHEW!! Here it is!! FINALLY finished. 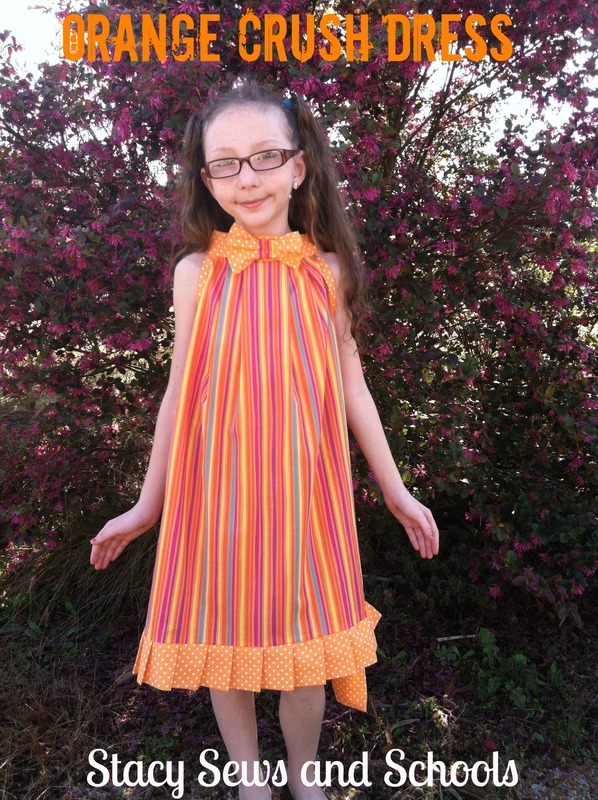 5 rows of pleats, people… 5 ROWS!!! LOL But it was worth it. 😉 The top has great movement! I love it! 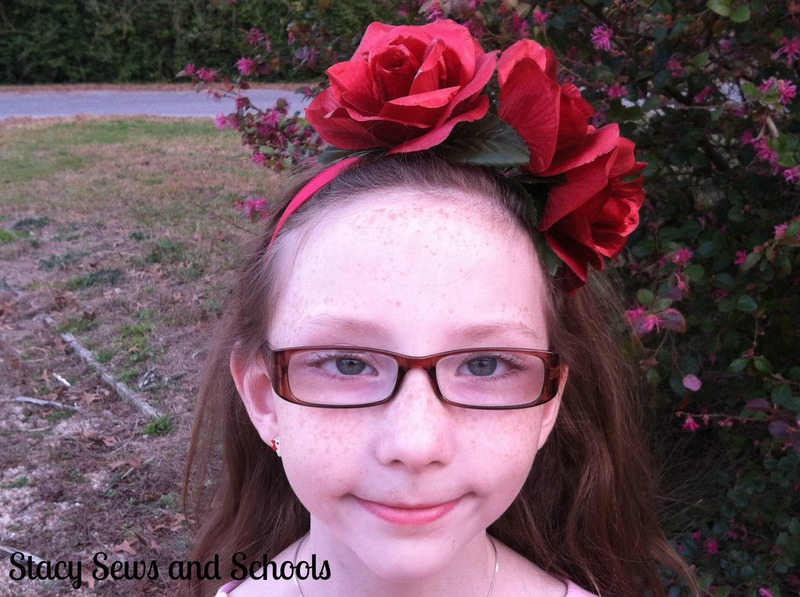 I made the headband from Dollar Tree supplies. 😉 I took the roses off and hot glued them to the band. VERY simple!!!! 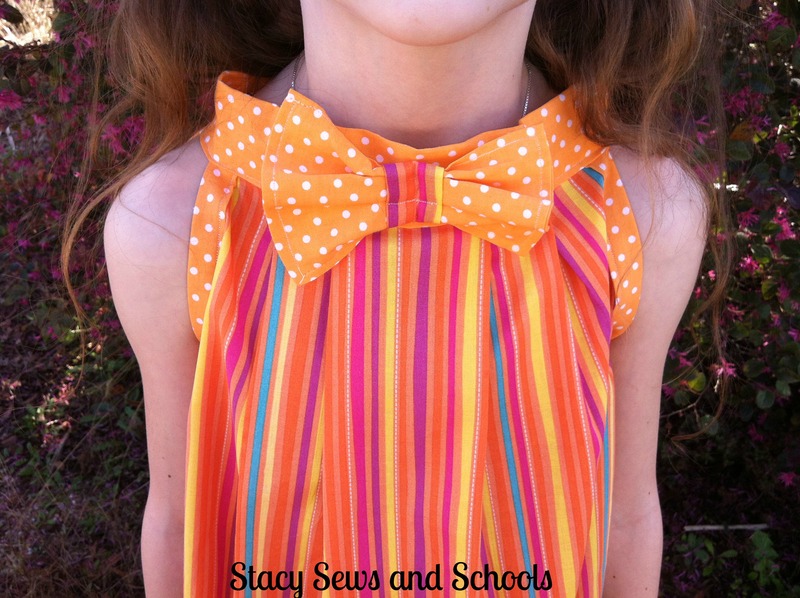 I was going to post this tomorrow but I want to hurry up and put it in the Project Run & Play Link Up for the sew along! LOL The theme for this week is Valentine’s Day. This dress has A LOT of pleats!! 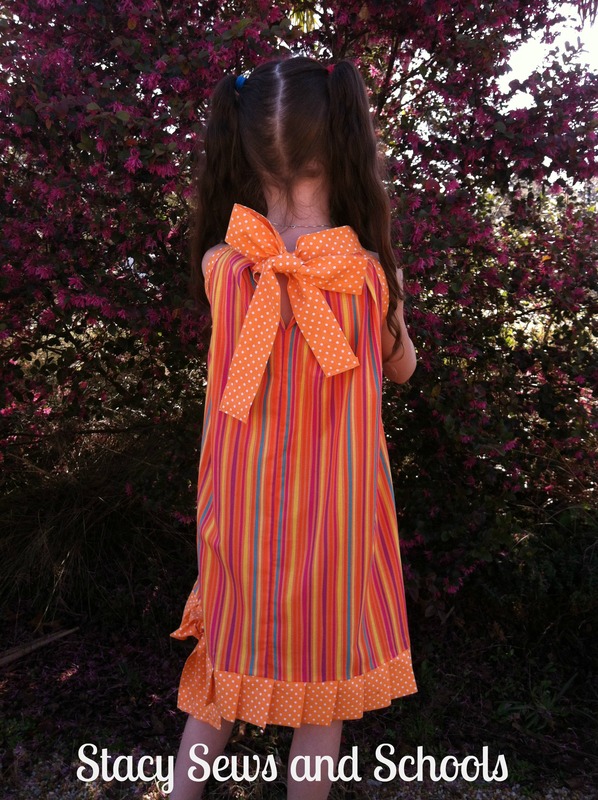 The front and back sides are both pleated at the neck. After that I will be hard at work on my boy’s look for the Week 3 Challenge. I think I have my fabric choices pinned down but other than that I am SOOOOOOO not sure of what I’ll be doing! LOL Not good!! Not good at all!